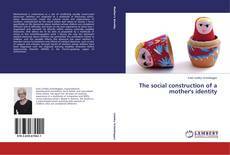 Motherhood is understood as a site of conflicting socially constructed discourses. Mothers are subjected to a multitude of discourses which, when deconstructed, reveal the cultural norms and expectations of mothers, underpinned by the moral orders and values of society. I focus specifically on the discourses about mothers whose children are considered different and in difficulty, and draw on my own experience to show how I negotiated and narrated my identity within various culturally available discourses, that allows me to be seen as populated by a multitude of selves. In this autoethnographic work I discuss the way the dominant medical discourse about mothers has permeated the professions linked to children, and the possible effects this discourse has upon mothers. I describe various formulations and effects of medical discourse, such as lack of support and criticism, through stories of mothers whose children have been diagnosed with the disputed learning disability Attention Deficit Hyperactivity Disorder (ADHD) in the French-speaking region of Switzerland.